It's snow time! 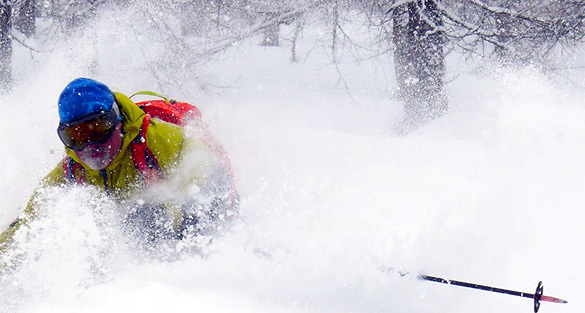 Starting with spring, then powder, March delivers as one of the best months in the mountains. THE RANDO CHIENS ARE BACK! 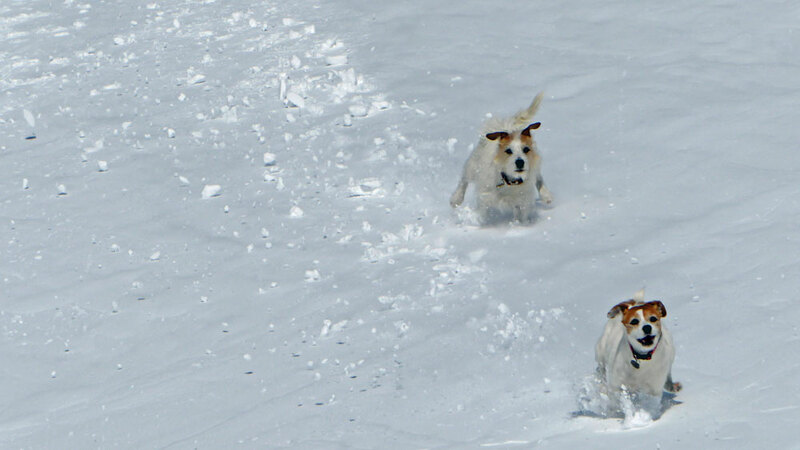 The Rando Chiens loved it - going up and down - as the snow wasn't too soft. 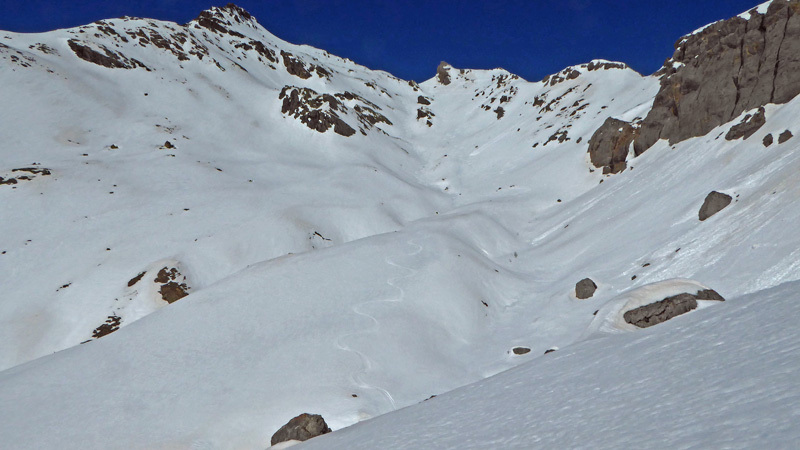 My guide (Gav) managed to find the better snow over to the left of the normal descent. It started to snow at around 16.30, yesterday. And, then, came the wind. At 08.30am, this morning, it's still howling and -1C but obviously a lot colder with the wind chill. The Jacks and I are seriously contemplating going back to bed! Especially as, yesterday, we suddenly decided to do another hike as it was blue sky and warm. We drove over to Cervieres and skinned up 600m and nearly 3 miles (ie quite long and mellow gradient along the track for the first half). Climbing up we were in sight of the Mongenevre lifts in the distance over the other side of the ridge. After an hour, the weather was coming in so we took skins off and headed down on rather heavy snow (not enough freeze/thaw for the deeper snow over there to transform). The valley is hanging today after the poignant wake, yesterday, of Mel Brown of Mojo. There were endless tears, laughter at memories and such love from those who knew her well. 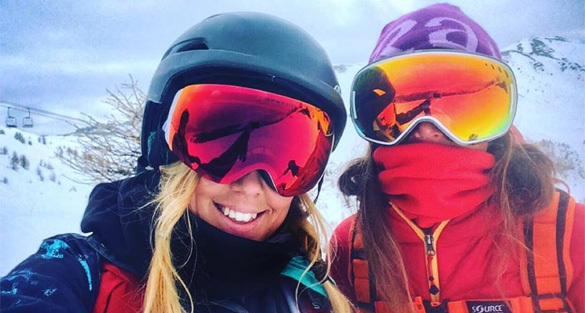 Memories were shared of her awesome snowboarding, wicked humour, gentle kindness - and infectious smile. Gone but never forgotten. Rest In Peace. After a fair few no shows within the past week with the forecasts for here being totally wrong - and even more frustrating for the snow to fall in valleys either side of us - what we have, this morning, is probably the heaviest snowfall of the season! When we went to bed, frustrated again that it was not snowing, it was great to be woken by the dogs at 02:00 to see around 5cms so, within seven to eight hours, we've had close to 20cm, and looking at the rain radar heavy snow looks set to continue for the next three to four hours. It's the last of the big holiday transfer days of the season and it will be chaos. I'm not too sure how much will be open first thing as I've not heard any blasting, as maybe they are waiting for the snowfall to finish. 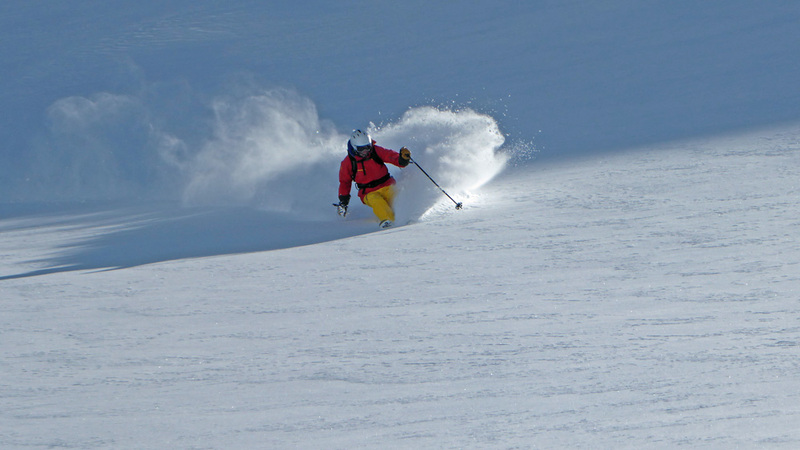 In the meantime catch up on the latest from the GB Ski Industry test in Kuhtai with what's happening across ranges for next season and whether Fat / Wide skis are still the must have for touring, though on a day like today the answer is yes! 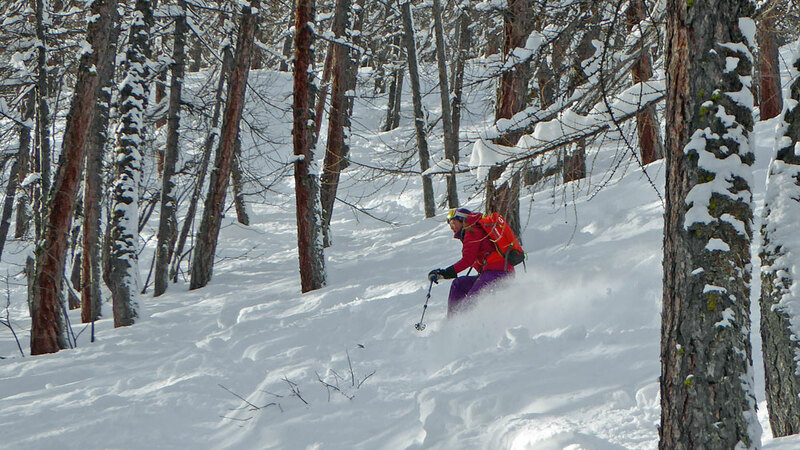 So much snow, yesterday, meant that steep and deep was the best option, as if you tried to ski / board a blue piste you'd have to straight line it such was the depth of the snow. 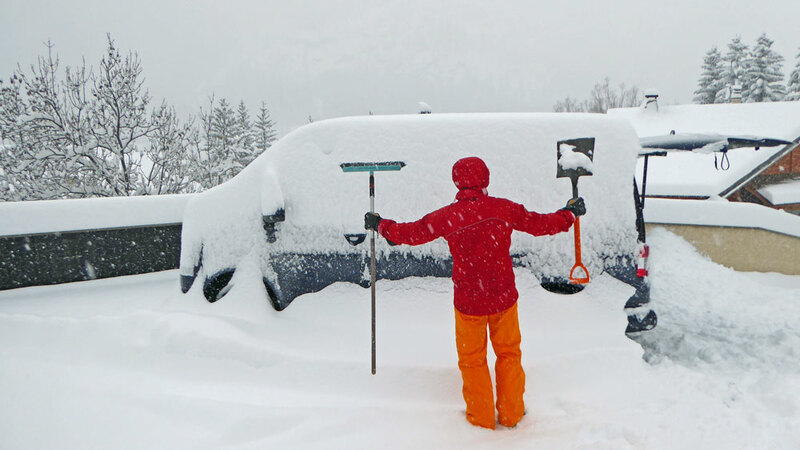 We headed to Monetier after digging the van out. 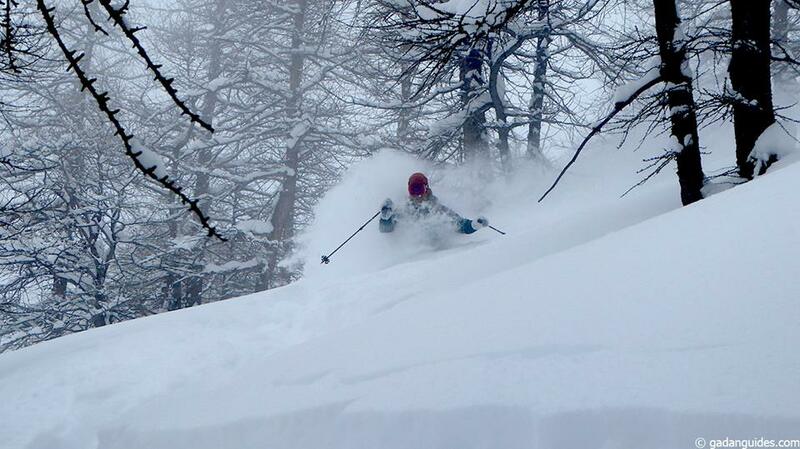 and it was a classic morning, battling the vizibility with snow continuing to fall and powder nigh on a metre deep! The trees delivered as ever and my last run after the 15 minute hike that is the Crête des Lauzières was probably my best tree descent ever! There was a fair amount of carnage on the roads with one of the main routes out of the valley, Col du Montgenevre, blocked by a coach crash, and then gridlock as the Parisians headed back. As often happens after a storm and the low pressure tracks through you get the subsequent cold front following on and, this time, fortunately no accompanying NW wind for a change, and we awoke to minus 8 and clear blue sky. So, hopefully, as tends to happen the powder will be a lot lighter as the moisture gets sucked out of it. Snow in the garden has compacted down to 30cms and a slight crust. Texts are a buzzing and game plan Monetier for 08:30 - and if anyone is late, well, no friends on a bluebird powder day! It's -11C at 8am, this morning - and another sunny day. 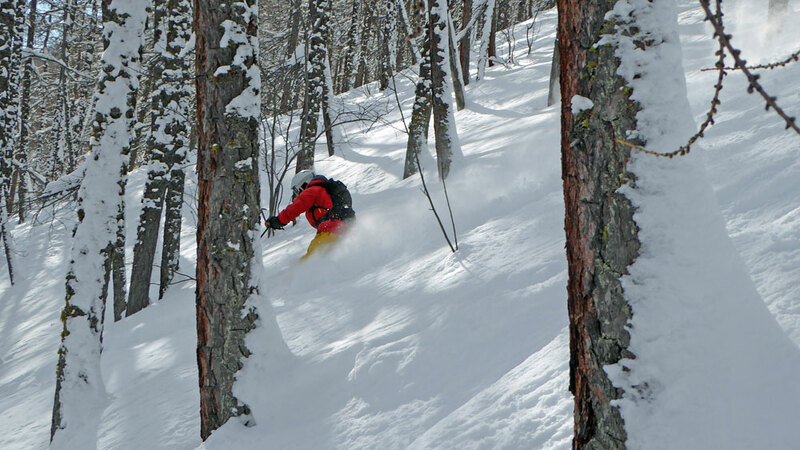 Yesterday, though, was one of those amazing bluebird powder days you never forget. It started in Monetier where we were on the first chairs at 8.31am. We were riding with the coolest Seasonaires in Serre Che - Tim of Mojo, Pikey, Skip and Kenny, the latter two on snowboards. Then it was up Bachas again and Yret chair to do Montagnole. 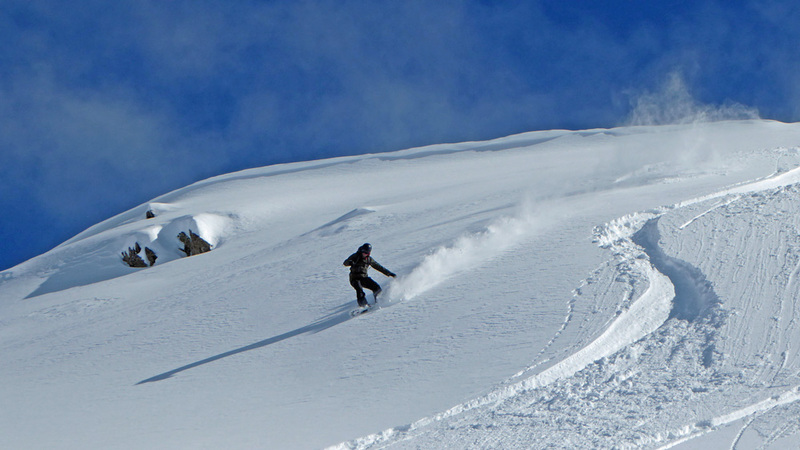 Now usually I like to savour this long, long off piste valley but no one was hanging around to enjoy the views - see Pikey and Tim shredding the pow, below. 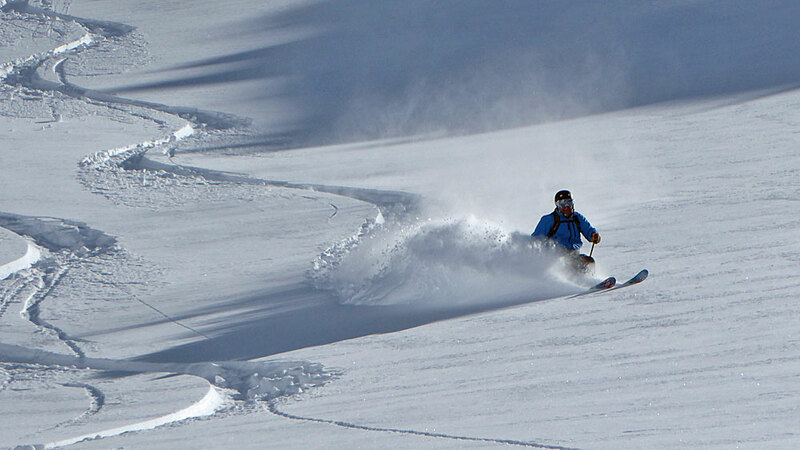 I've never skied it so fast but, even then, I was spat out the back. So the guys went on and did two more laps of Montagnole. Gavin managed to take the photos, though there wasn't much time for posing. 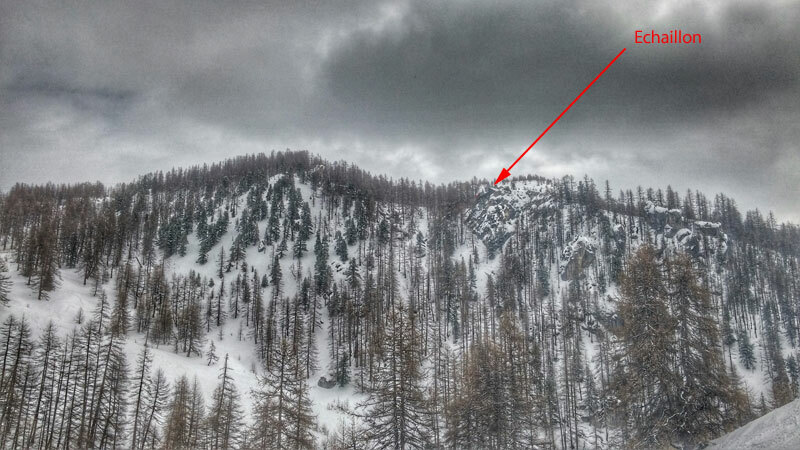 Spectacularly, they narrowly missed an avalanche that went between their laps off a steeper section at the top. We're back. Found some amazing powder even though it's all skied out in the resort and the temps are waming up the south facing slopes. Well, that's why we weren't in the resort but at Terre Rouge on the road to Cervieres aiming for the Crete de la Lause. Didn't get to the Crete as we did a detour via a climb so steep. I actually had vertigo going up! Beanie came down in Gav's backpack as the powder was a tad deep for her. 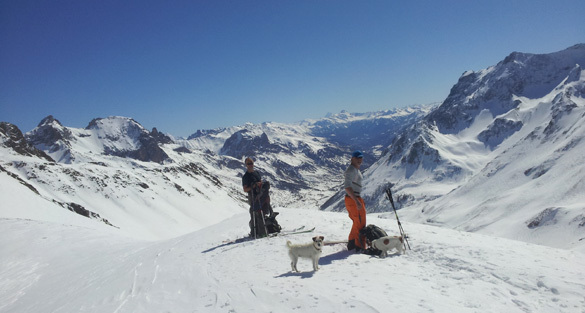 We went over the top of Eychauda, yesterday, hoping for spring snow. 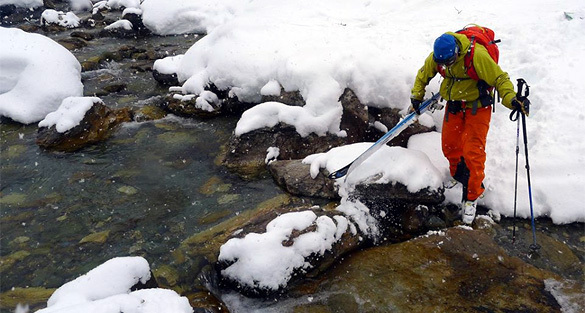 The good news is that there is plenty of snow, the bad that it hadn't transformed. There were four of us including Gav, Rob and Jez (on snowboard). 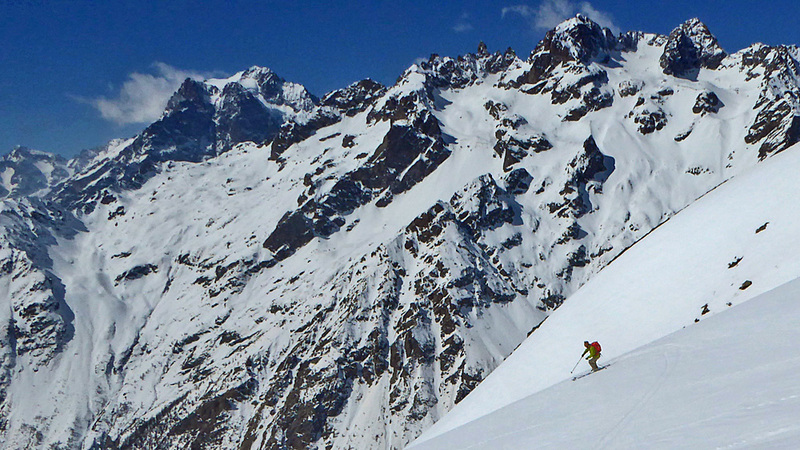 Coming off the top of Eychauda, there were a couple of slides set off by the first two, Gav and Jez. So Rob and I traversed to the rocks in the middle and we all progressed a little warily until in safe territory. 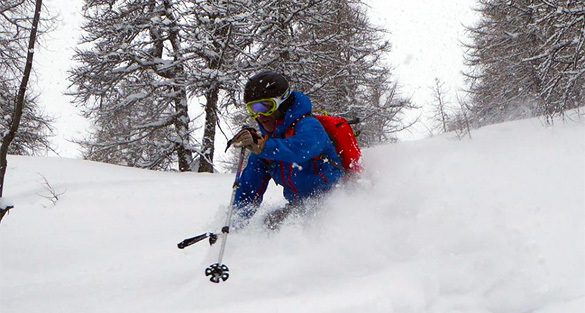 Ironically, when we arrived back at the Rocher Blanc chair after a two mile ride down the valley and a hike up of 40 minutes, I bent over to check my binding and, whoosh my SCOTT Alpride avy bag detonated, as I hadn't put the trigger away! At least, I know it was working had I needed to use it! 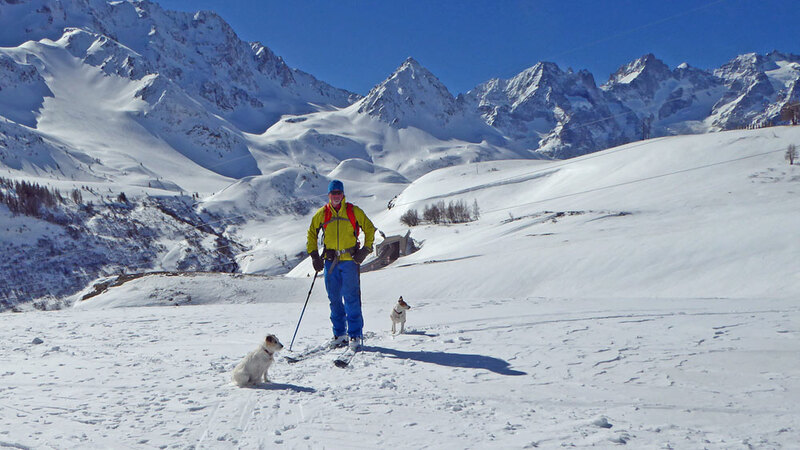 Such a superb day ski touring here in Val Maira, yesterday, Christian Turk, our guide on Sunday, said it would be a 'Stellar Weather' day and so it was! And forecast is for over a metre today, Now that could well be too much! 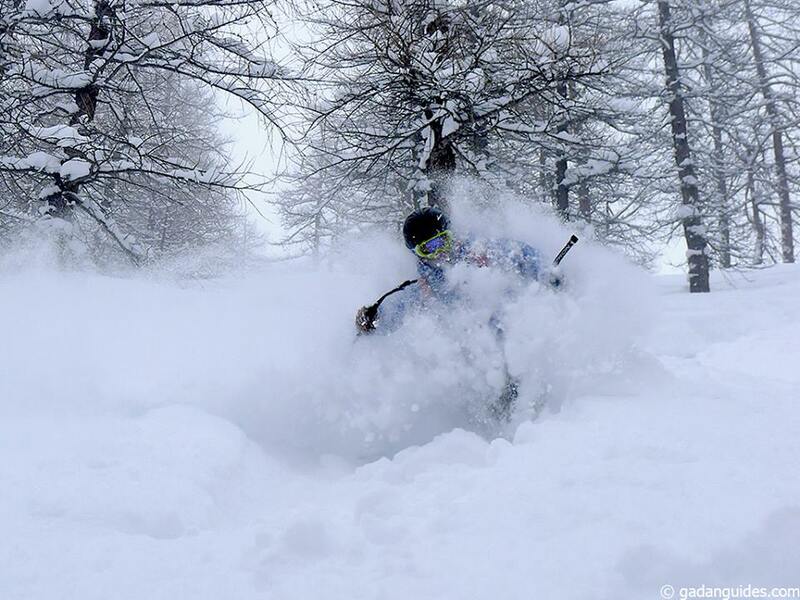 The guys seem to have been enchanted by the Italian 'folletti' or goblins, bringing them fresh pow everyday while touring in Italy, this week. But I'm looking into my crystal ball and seeing the work of leprechauns and headaches, tomorrow, from too much Guinness at Mojo tonight celebrating St Patrick's. 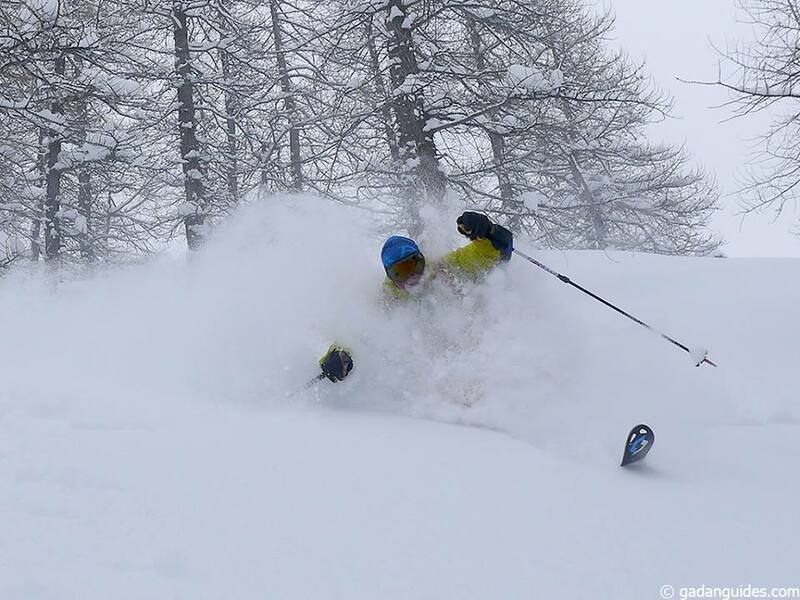 Well, that hopefully was the first Grand Slam of the week won (we're in the Edelweiss in La Grave on Saturday watching the next one) with four days out of four scoring immense conditions, with yesterday being even better than the previous day. And, in the words of Tim who has done five or six trips to to the land of the falling pow, that was better than any day in Japan, this year. Mind you, this is the place where the top Japanese guide, Hiro brings his clients when travelling to Europe, so suppose that tells you something? Roches Noir (my favourite) won! We did around 750m and decided to go up to the right rather than to the ridge. We were coming down at around 11.30am and the snow was perfect spring in places, too warm and rather windblown in others. Then a welcome coke and chips at the cafe bar at the Col.
Woke up to this awesome view - La Meije. 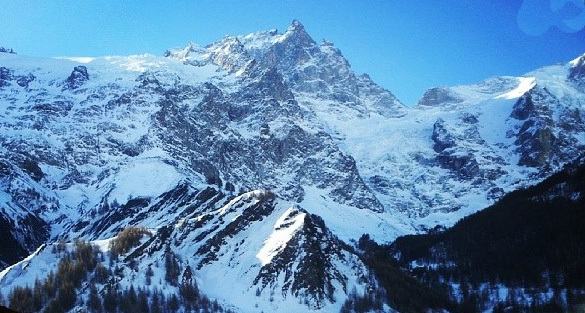 We were in La Grave staying at our absolute favourite mountain hotel, The Hotel Augerge Edelwess, for an amazing dinner and then to watch the rugby! The sun's shining, the mercury's rising! And the snow's softening up, with spring conditions on south facing. 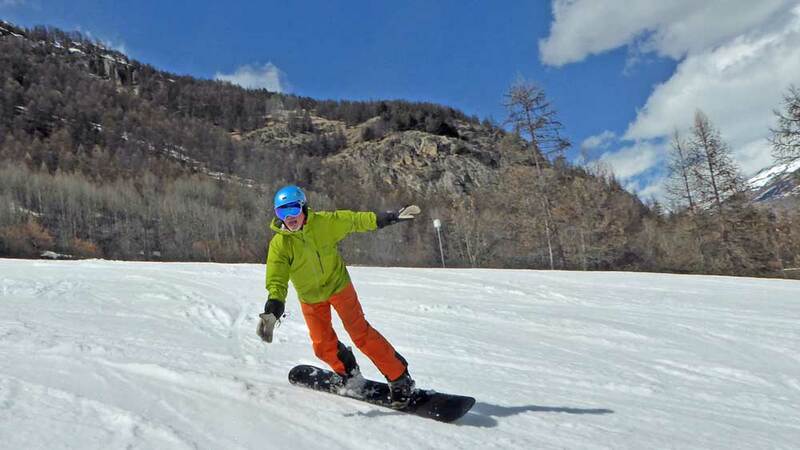 We went to Turin on Monday via a small Italian resort to do backcountry, but it was closed! So then on to the resort that can't be named for a couple of hours before going to drop Tim off at the airport and pick up Loulou. 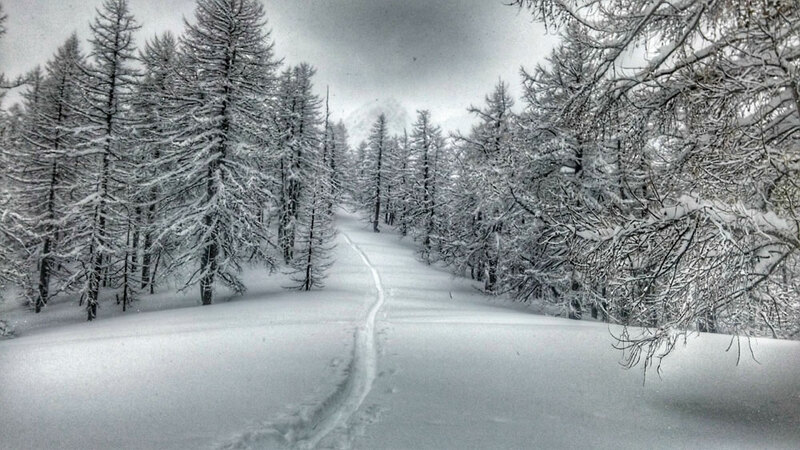 Yesterday was perfect piste skiing, if a tad slushy in the afternoon. 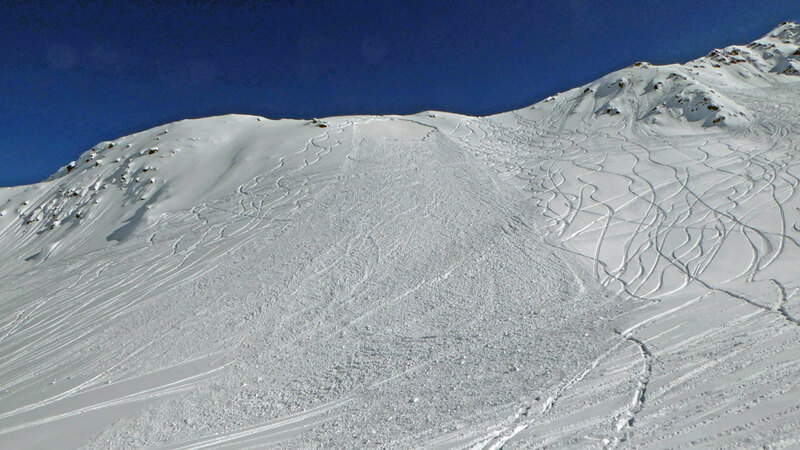 Over the back off Yret chair, the snow had transformed nicely. Similar plan for today! Freeze thaw. Blue sky. Mercury rising. Perfect touring weather so we're taking the Rando Chiens and Loulou up to Galibier. 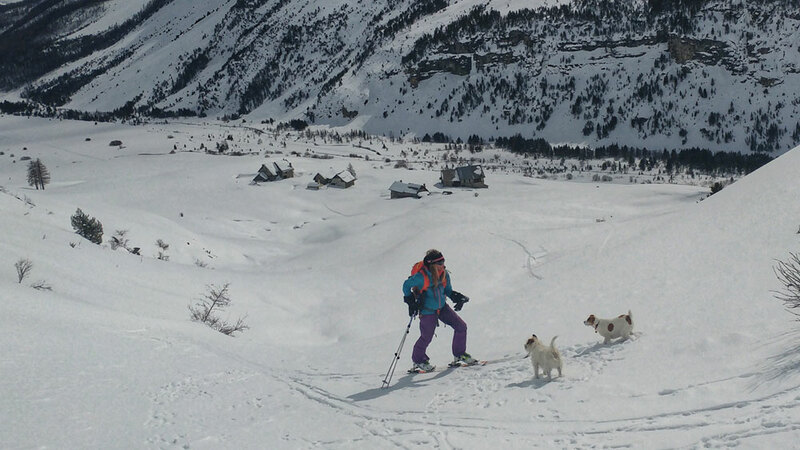 Took the Rando Chiens and Loulou for a ski tour in the Galibier sector. 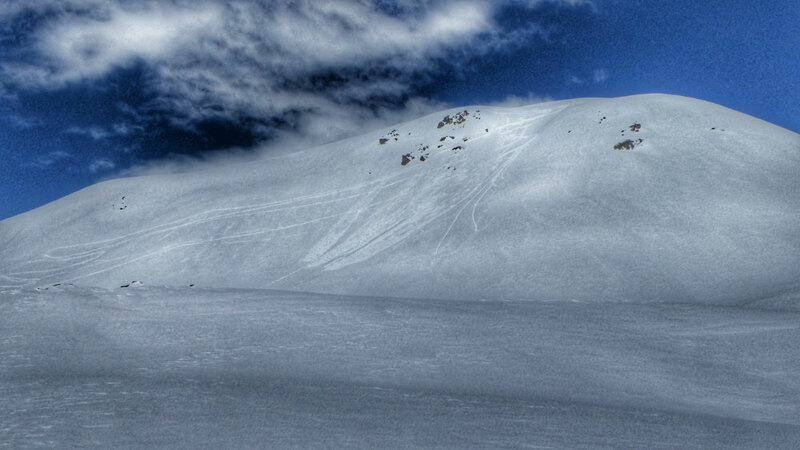 There was a cold breeze blowing but the snow started to transform around noon for a nice descent back to the van! 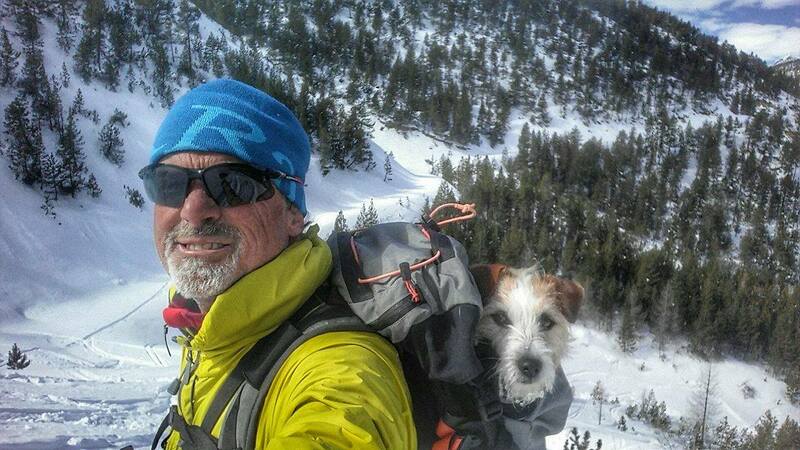 HEADING FOR THE BACKCOUNTRY HILLS! It's a perfect day for spring touring! And it's probs the best for a while, looking at the weather charts with cloud and rain/snow due during the week. Yesterday, it clouded over at noon, just when we were about to ski over the back with Loulou - so we skied in low vis and slush low down, instead! Hey ho. But it makes us appreciate days like today! So we're off to join the mobs of weekend tourers packing their skins and heading for the backcountry hills,. 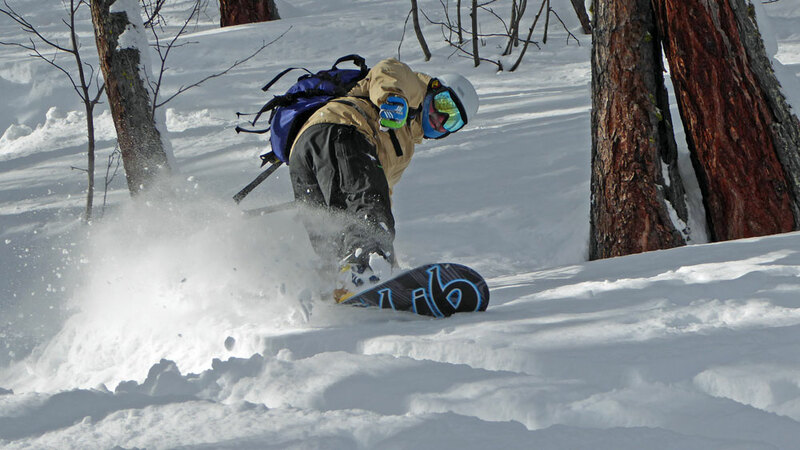 Cloudy today, as predicted, so we're getting the snowboards out for an afternoon slush fest. 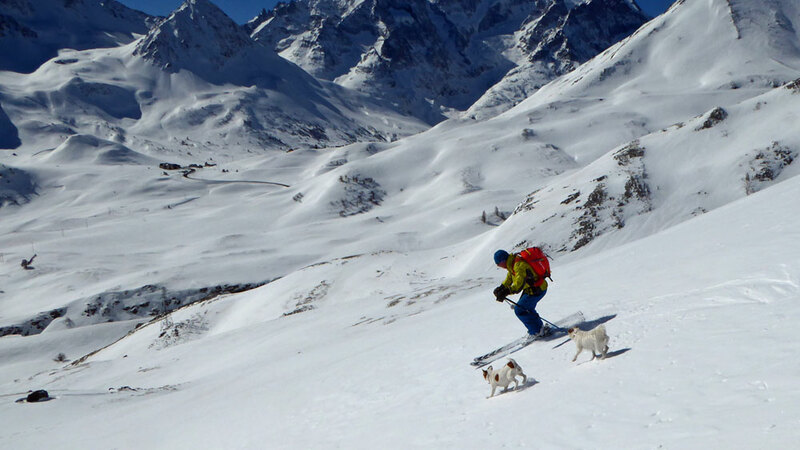 It was perfect for spring touring, yesterday, warming up to 18.5C in the shade by 3.30pm in the afternoon, when we returned from taking the Rando Chiens and Loulou for another tour up Galibier. 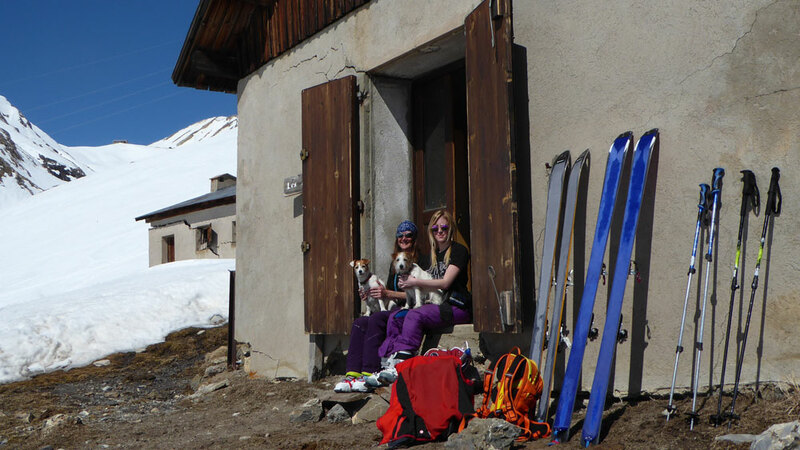 The roadside was mobbed with cars; Pic Blanc was like the M25 with ski tourers on their way up to the summit. It's like there's a sign 'Ski Tourers This Way'. 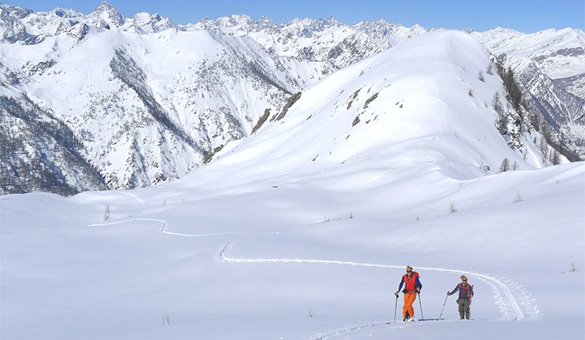 But the beauty of ski touring is the fact that there are so many options and you CAN get away from the crowds - and especially those on the pistes. Yet another friend was taken out, yesterday, by an out of control skier, crashing into her from behind. 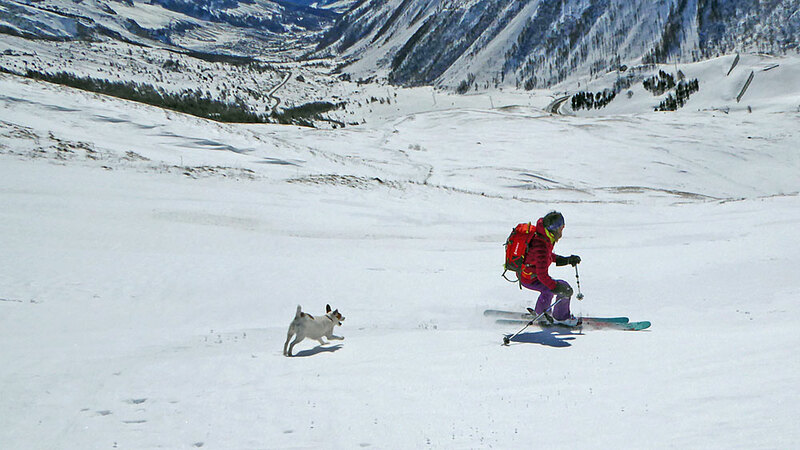 And, of course, we can takes the Randos with us, who like nothing more than to chase a hare or two - and keep up with us skiing on the way down. Took Loulou to Turin airport, this morning, and sadly waved goodbye as she returns to London. 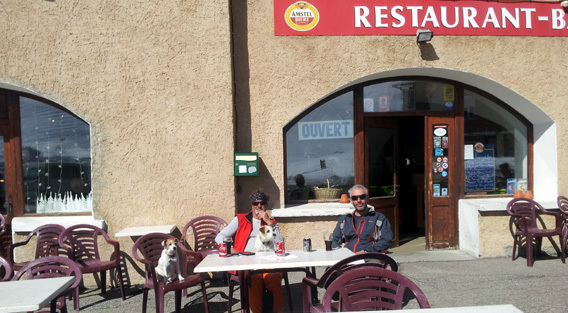 Now it's cloudy here in Serre Che and fairly mobbed with Italians enjoying the Easter Monday break - and long lunches. Yesterday, Loulou and I did some sideways riding - on snowboards in the slush and rain. 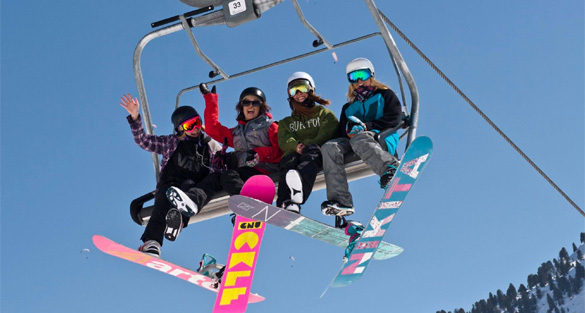 Last year, the number of women buying snowboards increased by 44% in the UK, a significant boom in a ski and snowboard market where sales are generally flat-lining. Why is it now sideways and NOT sidelined for women? 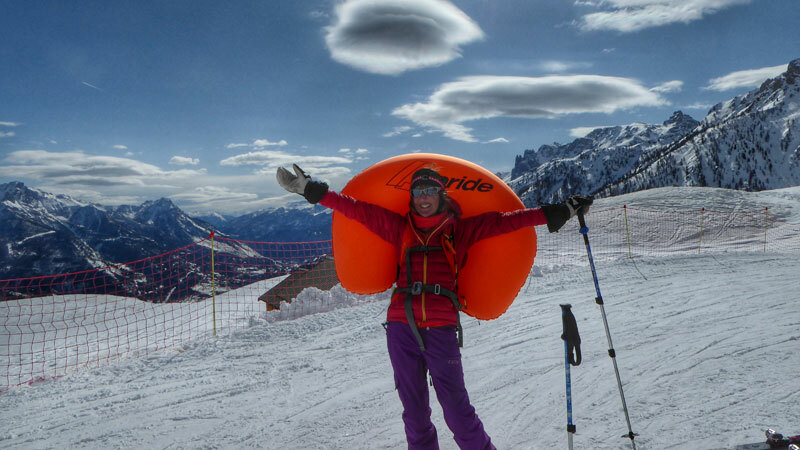 We asked our snowboard contributor, Faye Young, what she thought. Read her views on Girls On Board. Cloudy, warm and drizzly. Seriously not the best day in the mountains, today! Yesterday, though, it was, at least, sunny. 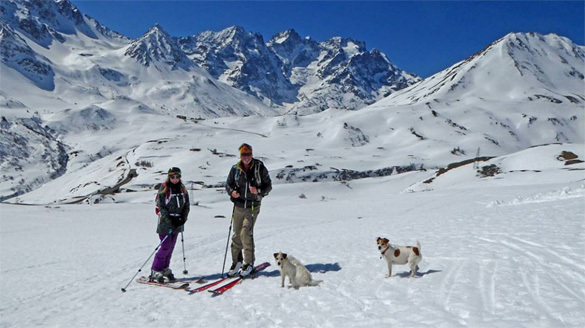 We had this deal, if I skied over the back of the Col de Mea with Gav, he'd come snowboarding - and he hasn't been on a board for at least five years! When we took the Mea drag up, the ridge was covered in cloud with zero vis so we skied over to the Eychauda drag and went off the back there. The first few turns down the steep face, were fine and then, bam, heavy slush. So it was a case of skiing one at a time across to just below the ridge where we could skin back up. 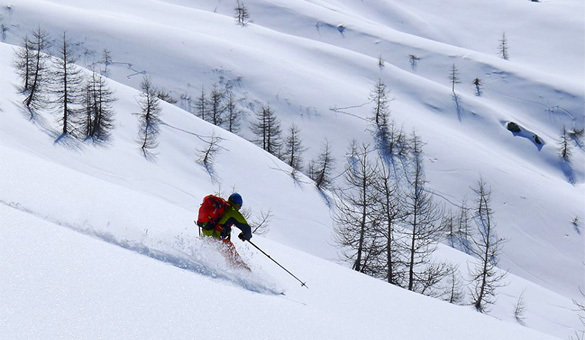 Skiing off piste down the north east facing slopes was surprisingly good at the top, but chopped up further down. Then it was down to the van to change kit to snowboards - and ride the slush down from Pointless. So skiing and snowboarding in the same day - skoarding!